Styled with syd cashmere top and jermaine pant . 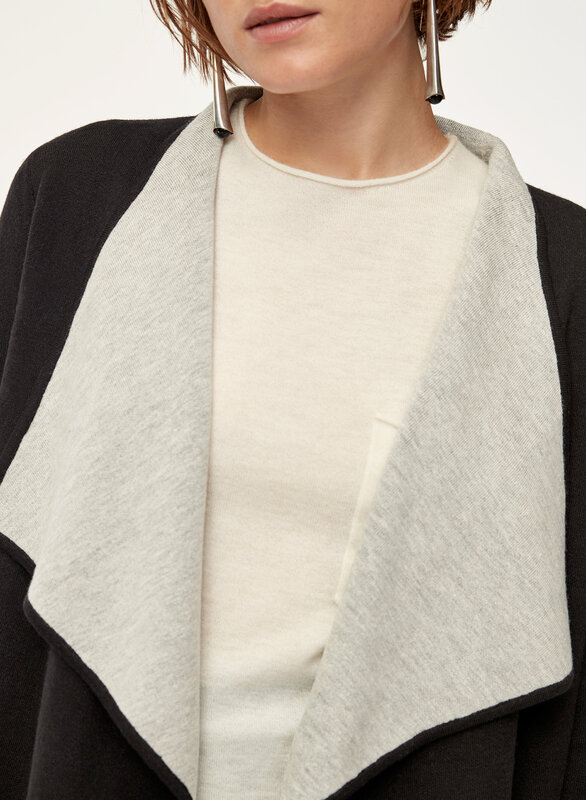 The Lyle is knit with a wool-linen blend that looks structured and feels cozy. A modern approach to classic ‘70s style, the waterfall front adds movement in all the right places.